THROUGH MY JESUS I CAN STAND, by Ray Watson – mp3 song lyrics chords. Only through Jesus can we have confidence in God. Bible verses. Do you feel confident before God? It is only through Jesus we can have confidence in God. Because of Jesus' sacrifice for us, we can come boldly before God in complete confidence. Come to His throne of mercy and grace! What does the Bible say about self confidence and having confidence in God? Read articles by a variety of authors to stir your faith and give you greater confidence. 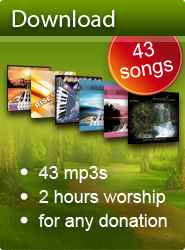 Discover music that takes you on a journey into His Presence.